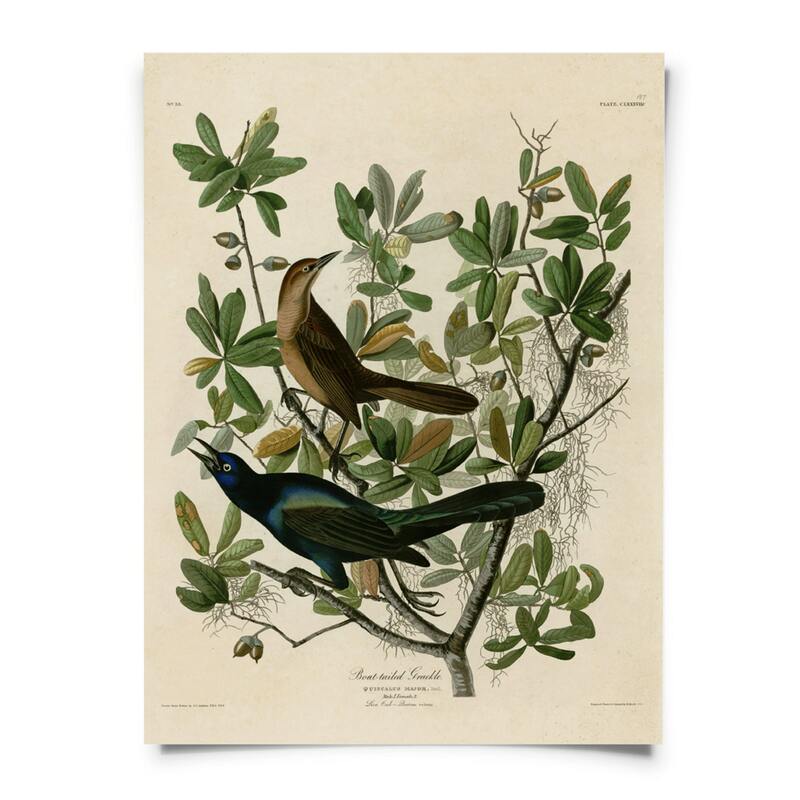 Vintage Print of the Boat-tailed Grackle: This print is a reproduction of an illustration by John James Audubon (April 26, 1785 – January 27, 1851). He was an American ornithologist, naturalist, and painter. 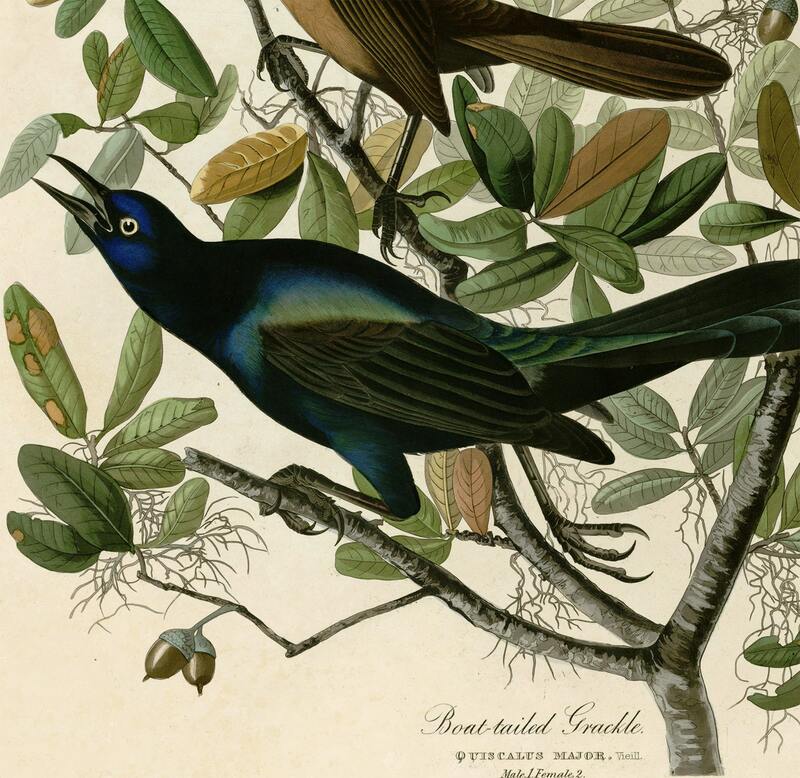 He was notable for his extensive studies documenting all types of American birds and for his detailed illustrations that depicted the birds in their natural habitats. 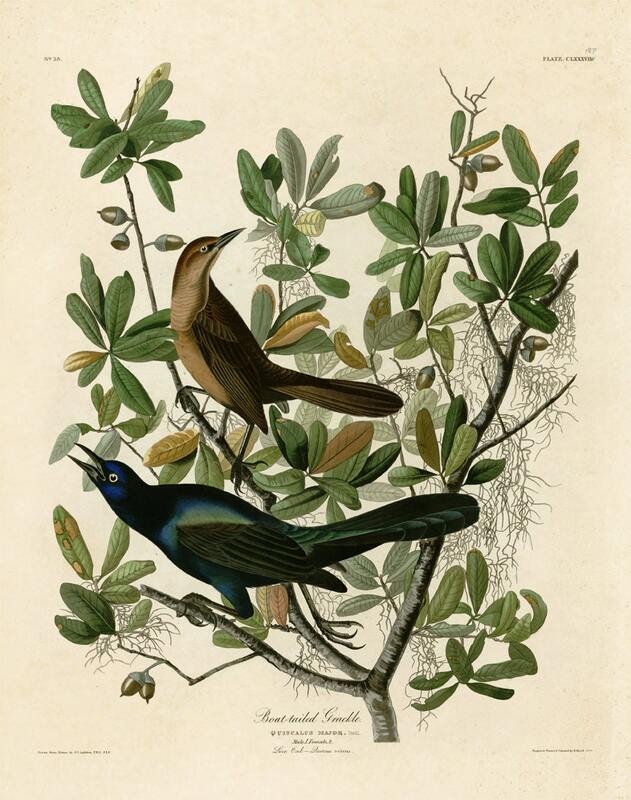 His major work, a color-plate book entitled The Birds of America (1827–1839), is considered one of the finest ornithological works ever completed. Audubon identified 25 new species. The pages have been scanned in, cropped, and retouched to ensure the highest quality reproduction possible.